The Belgian authorities refused to stregthen security measures despite of recent European terrorist attacks. ATHENS (Sputnik) — The Belgian authorities refused to tighten the security provided to the offices of EU institutions in the country following the deadly November terror attacks in Paris, a member of the European Parliament representing Greece said Wednesday. On March 22, two blasts went off in the departures hall of Brussels’ Zaventem international airport. Another explosion struck Malbeek metro station in central Brussels, near the headquarters of the EU institutions. “Soon after the Paris attacks at the end of November 2015, I, with a group of members of the European Parliament, requested the security provided to the EU buildings be strengthened, but it was suggested that we pay for it ourselves, that we hire soldiers and private security guards for the European Parliament,” Notis Marias told RIA Novosti. 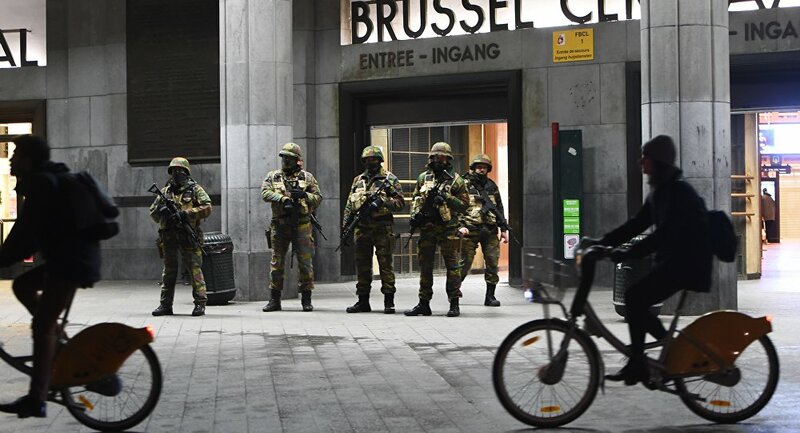 He added that the current level of security afforded to the EU institutions in Brussels was insufficient in the context of the attacks in the Belgian capital.The Daesh terrorists group, outlawed in many countries including Russia and the United States, has claimed responsibility for the Brussels attacks that killed 32 people and injured over 300, as well as for the Paris attacks, which left 130 people dead and over 360 wounded. Brussels hosts sessions of the European Council, the European Parliament and several other EU institutions, as well as being home to the NATO headquarters.